Muslims around the world are celebrating the Eid al-Fitr festival, which marks the end of the holy month of Ramadan. 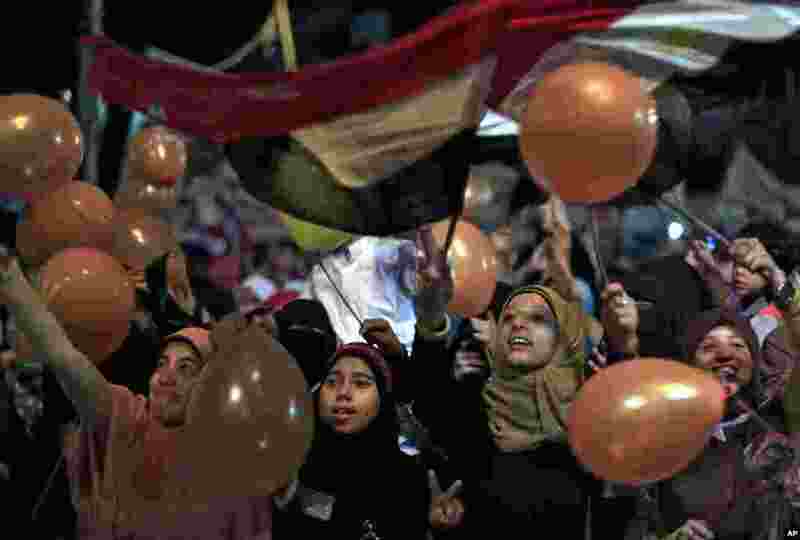 1 Supporters of Egypt's ousted President Mohamed Morsi hold balloons and national flags as they celebrate the first day of the Eid al-Fitr feast, Cairo, August 8, 2013. 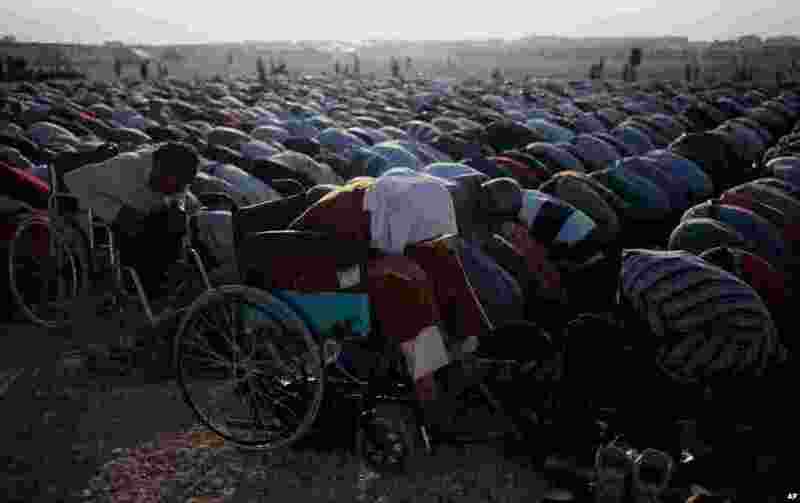 2 Syrian disabled refugees pray during the Eid al-Fitr holiday at Zaatari Syrian refugee camp in Mafraq, Jordan, August 8, 2013. 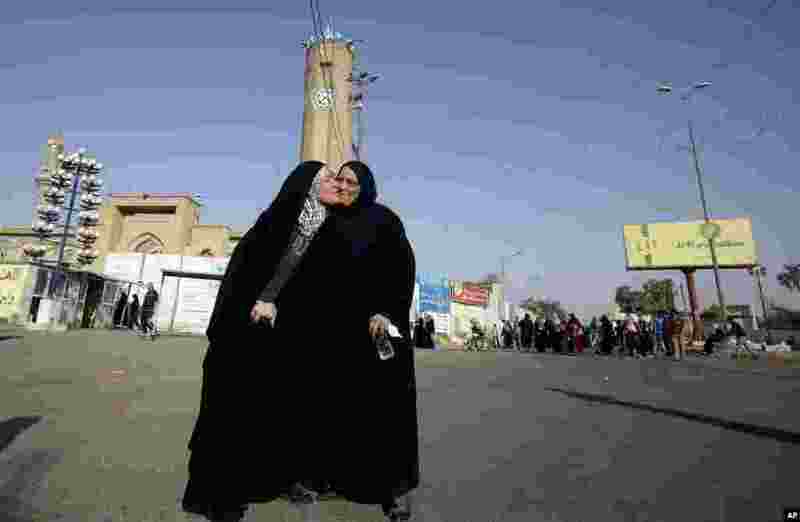 3 Iraqi Muslims exchange greetings after the Eid dawn prayers outside the Abu Hanifa mosque in the Azamiyah area of north Baghdad, August 8, 2013. 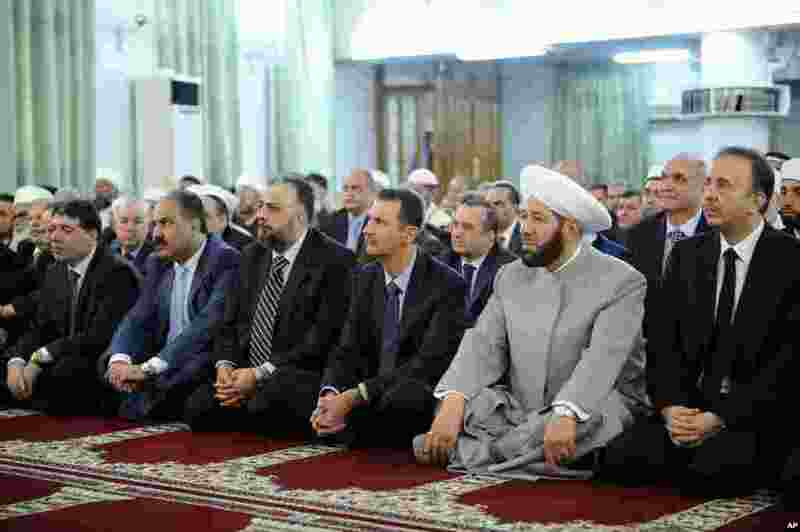 4 Syrian President Bashar Assad prays at the start of Eid al-Fitr at the Anas bin Malik Mosque, Damascus, August 8, 2013.